Introducing our new flagship store and the West End’s first ever School of Make-up Art. With Alex just stepping off the plane in Australia at the moment, it is my absolute honour to present you with this very exciting news! 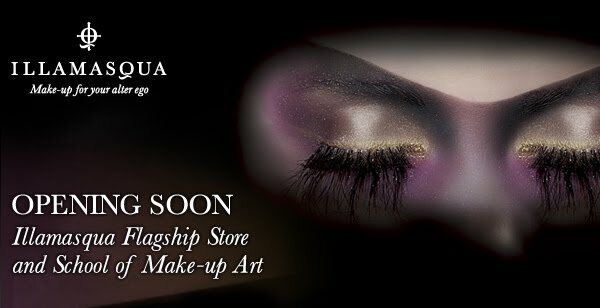 Since we launched, a little under two years ago, we’ve always dreamed of opening our own Illamasqua flagship store. That dream is about to become a reality! In mid September, we’ll be opening our doors in the heart of Soho, London. After months of deliberation, 20 Beak St is the chosen location, situated just south of Carnaby Steet, between the grandeur of Regent Street and the vibrancy of Soho. The lease was signed about two weeks ago, and the atmosphere in Head Office right now is absolutely buzzing, with all of us nervous and excited in equal measure! You can be sure we’ll all be working as hard as ever to ensure that our first store gets the opening it deserves. As if that’s not news enough, as always with Illamasqua, there’s more to the new store than meets the eye. The ‘Illamasqua School of Make-up Art’ will be located on the premises, offering a range of professionally designed and led courses for beginners to pros that will equip you with the skills to create amazing looks and the confidence to unleash your alter-egos! It’s the first of its kind and will help us strengthen our commitment to making professional night-time make-up available to anyone who believes in self-expression. I know you’ll be very excited by this news, so keep watching this space for more information on courses and opening dates! !